Attention-deficit/hyperactivity disorder (ADHD) in adults and borderline personality Disorder (BPD) share some similar clinical features (e. g. impulsivity, emotional dysregulation, cognitive impairment). ADHD in childhood has been reported to be highly associated with the diagnosis of BPD in adulthood and adult ADHD often co-occurs with BPD. 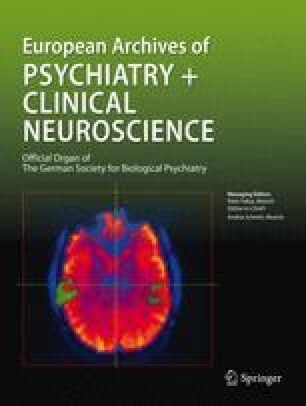 Treatment studies revealed an efficacy of dialectical behavioral therapy (DBT) and DBT-based psychotherapy, respectively, in BPD and adult ADHD as well as neuroimaging and psychopharmacological studies showed some evidence for a potential common neurobiological dysfunction suggesting the hypothesis that ADHD and BPD may not be two distinct disorders, but represent at least in a subgroup of patients two dimensions of one disorder.